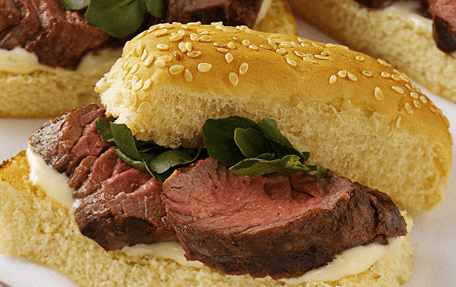 $1 Petite Filet Mignon Sandwiches at Morton’s for National Filet Mignon Day! National Filet Mignon Day is coming and Morton’s is celebrating with Petite Filet Mignon Sandwiches for $1 on Thursday, August 13, 2015 from open to close, while supplies last. Please keep in mind these are petite sandwiches so you may need to buy more than one to fill up, but $1 each is still a great deal! There’s a limit of 12 sandwiches per person for those with big appetites. Please note that this offer is available at the bar only and can’t be combined with other discounts or offers. For more information, please head here. Morton’s in Boston is located at Two Seaport Lane in the Seaport District but this offer is valid at most locations across the country, just in case your not in Boston on Thursday! Will you be celebrating National Filet Mignon Day this year? Have you taken advantage of this offer in the past?